Oh…this is just the cutest little set! Okay…I’ll admit it, the ONLY reason I bought this set was to do a project for Create with Connie and Mary Summer Collection 2014. As I was working with this set for that project, I just really got to enjoy working with it. It is just SOOOOO CUTE!!! And I LOVE the greeting ‘happy birthday little buddy!’…How CUTE is that? So since I’ve been playing around with this set AND had it on top of my desk AND since it is Monday and a FABULOUS sketch for the Technostamper Monday Lunchtime Sketch Challenge…it all came together for this cute little card! Basic Grey print – Confetti Celebration dsp – 1 1/2 x 4, cut into a banner and add to card front. Whisper White – cut with Circle Framelit and layer onto a 2 1/2″ Pistachio Pudding circle. Add to card front using dimensionals. Crushed Curry – 1 1/4 x 3 1/2, stamp greeting using StazOn Jet Black, cut into a banner, wrap Basic Grey Baker’s Twine around end, and add to card front. 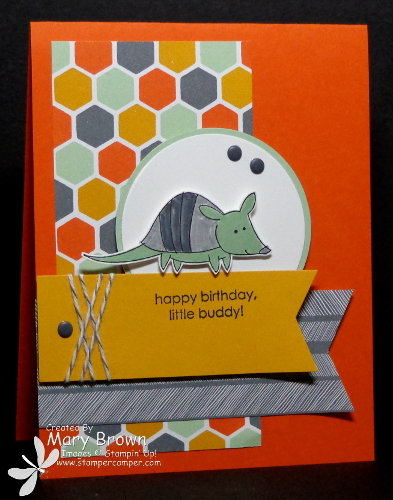 Stamp critter using StazOn Jet Black, color using Pistachio Pudding, Smoky Slate, and Basic Grey markers, cut out and add using dimensionals. Add some Basic Grey Candy Dots to finish it off. 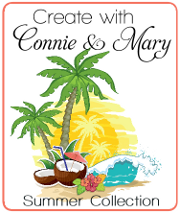 We have just started week two of Create with Connie and Mary Summer Collection 2014! If you are looking for ways to use all that ‘new stuff’ that you just got, this is for you! This collection features products from the NEW CATALOG…you don’t want to miss it! 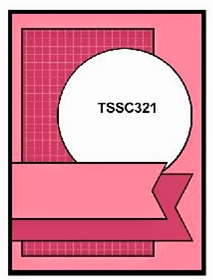 This entry was posted in Technostamper Challenge and tagged Little Buddy Birthday. Bookmark the permalink. I love him matched with those papers, the colors are wonderful. Love your little bit of wrapped twine. Awesome job, Thanks so much for another great sample for my sketch challenge this week! Shut up!! OMG! This is so stinking cute! !